The Chinese History Museum was officially opened on 23 October 1993 but the building was completed in 1912, and served as a court. 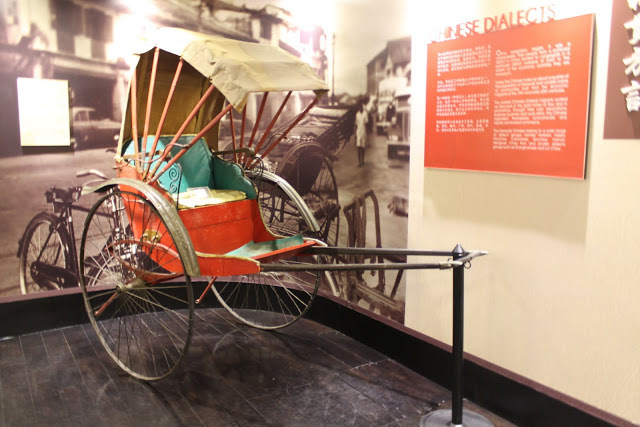 It displays many artifacts and exhibitions pertaining to the history of the Chinese community of Sarawak. Here, visitors will be introduced to the various dialect groups within the Chinese community, their origins and history. Visitors will be shown, via exhibitions, direction of Chinese trade and migration routes, geographic distributions of various dialect groups, their political history, involvement and contribution to Sarawak. There is no better place to learn about the diverse Chinese community of Sarawak than from the museum. The Chinese History Museum is located at the junction where Lebuh Temple and Jalan Green Hill intersect, opposite the Tua Pek Kong Temple, and is only 450 meters (about 6 minutes walk) from Kuching Waterfront. Chinese History Museum is opened from 9am to 4.45pm on weekdays and 10am to 4pm on weekends and public holidays. The museum is closed on the first day of major public holidays as well as on the Governor’s birthday, Labour Day (1 May) and Malaysia Day (16 Sept).